Fairway Dairy and Ingredients' Feed Division's main focus is on the buying, selling and distribution of products used in the animal feed sector. Our experience has helped us successfully penetrate the pet food, dairy and beef cattle, poultry, swine, and fertilizer sectors. Please contact us with any questions you may have. 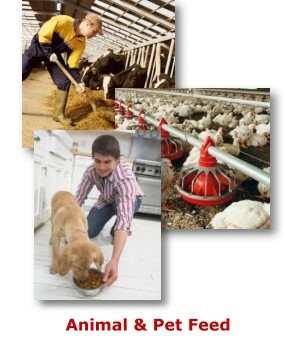 The Whey, Dairy Proteins and Milk products we carry are also available for animal feed. Our competitive advantage is our closely networked team of experienced merchandisers along with the efficiency we have developed over the years. Because our product focus is very specialized, Fairway Dairy and Ingredients can accurately know each product's market value. This makes our trader's analysis far more accurate and valuable to our customers.